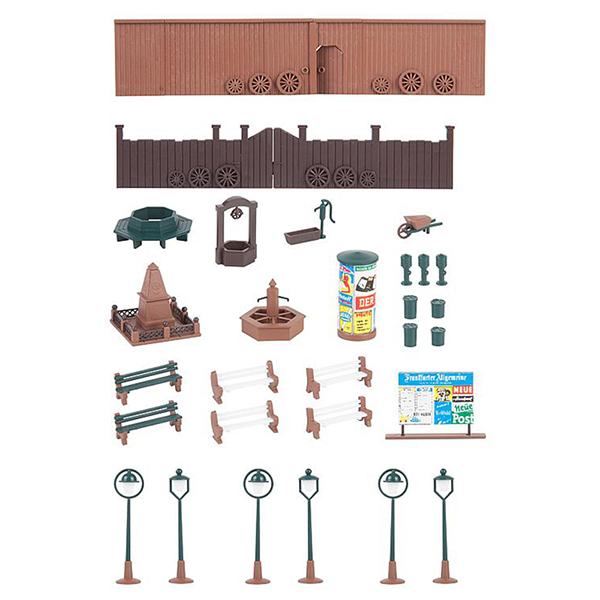 This construction kit is very well suited for the decoration and modelling of a small town or village square. For this purpose it contains typical parts such as park benches, a bench around a tree, an advertising pillar, different types of fountains, a historical monument, fire hydrant, yard gates with side walls and much more. 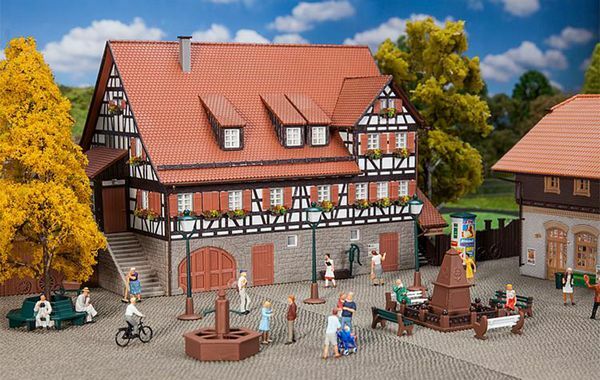 This building kit contains: 116 single parts in 3 colours and 1 construction instruction.